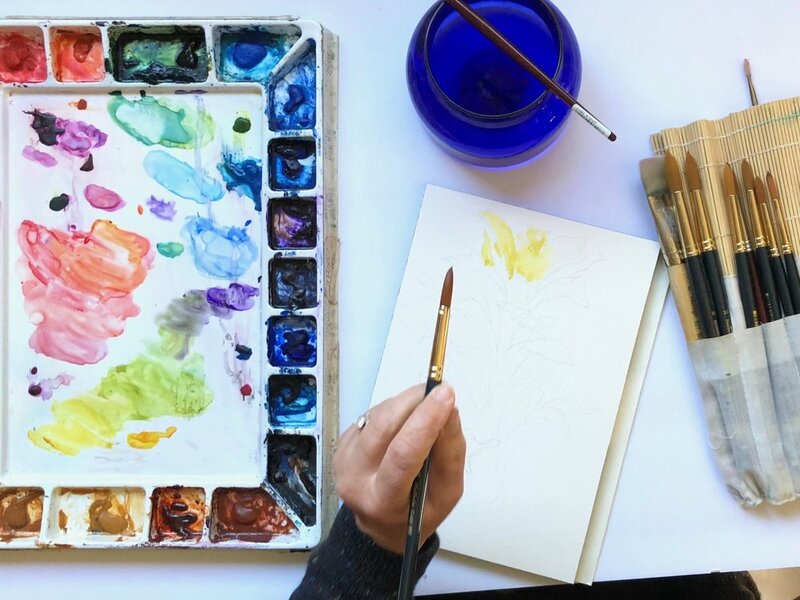 Learn the basics of watercolor painting in this six week class. 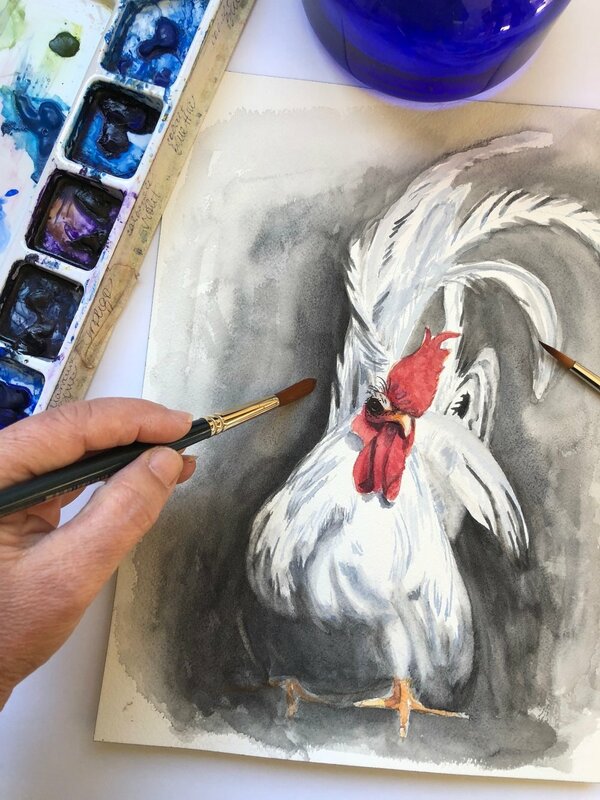 Together we will explore the tools, techniques, tips and tricks that make watercolor such a unique and compelling medium. A basic supplies list will be provided to each class participant before the start of the series. Participants will purchase their own supplies which include brushes, paper, paint. new techniques and paintings each week. There will be time to complete a painting in most classes, either from a still life or photographs. Watercolor is fluid and alive with possibilities! The happy mistakes that sometimes occur while painting make it exciting as well as challenging. This class is designed for beginners, and starts with the basics. Learning how to use watercolor, how to control brush, paint and water on paper can be very exciting and rewarding. 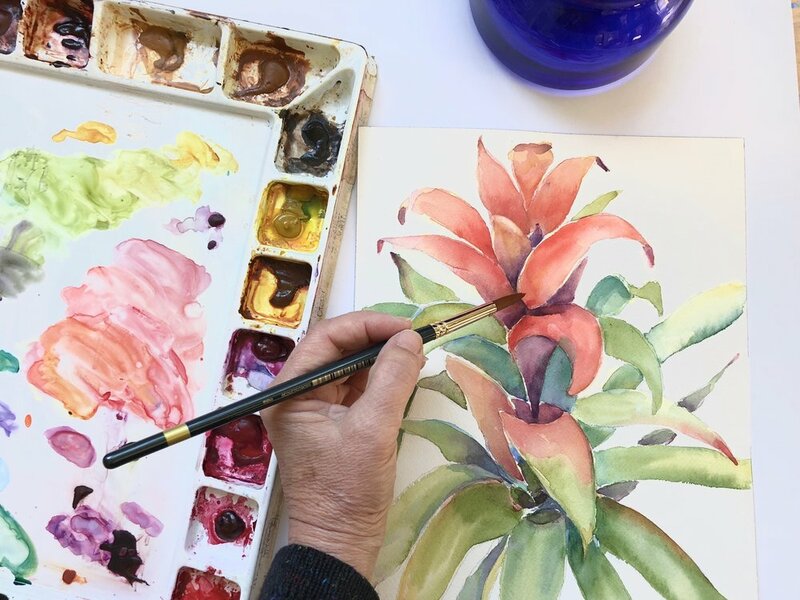 The challenges that face a new watercolor painter can be overcome simply with practical advice, guidance and practice. 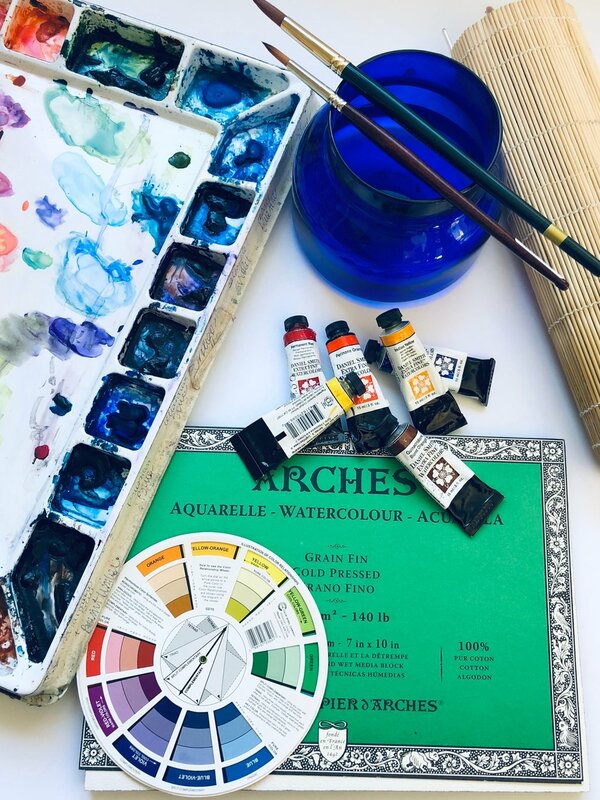 I hope everyone taking this class will leave each session with a new skill and a deeper understanding of the secrets of watercolor. 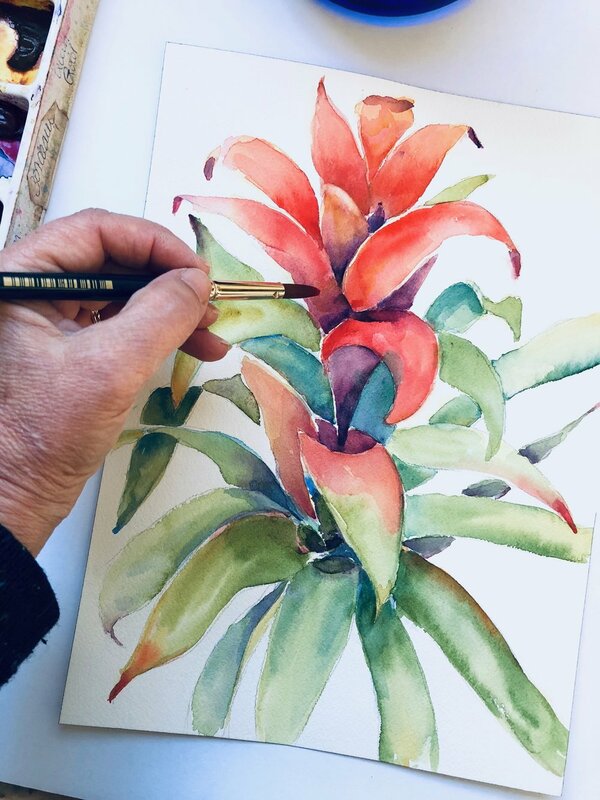 I look forward to sharing my love of watercolor painting with everyone! Always creative, Heidi Michelle studied drawing, textiles, illustration, art history and ceramics. A degree in Interior Design led to a career as a designer and space planner for large technology companies in Silicon Valley. Later she became a full-time homemaker for her husband and two daughters. After a long gap, Heidi Michelle is thrilled to be able to devote more time to painting. Through study and intense practice, Heidi Michelle enjoys and embraces the distinct restrictions and challenges of watercolor painting. The pigments build and flow into one another, colors and depth are created by applying multiple layers of transparent paint. 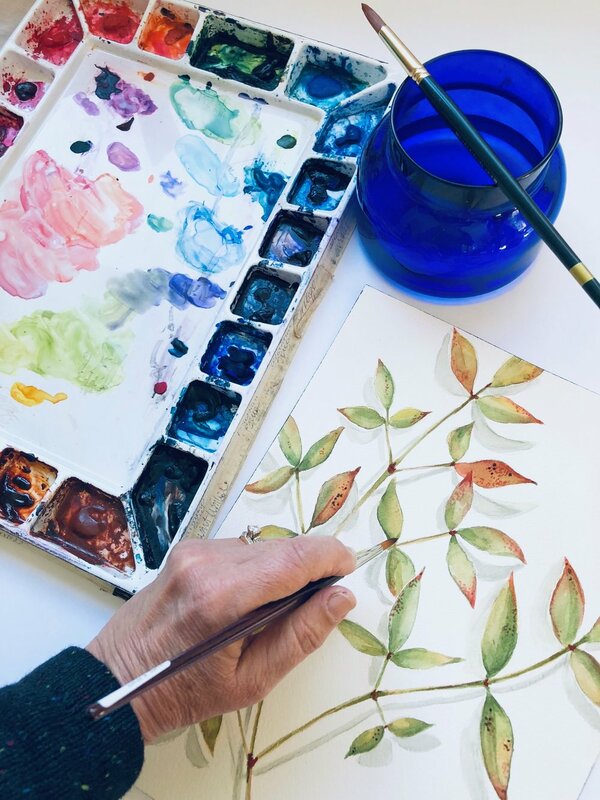 Her watercolor paintings honor the subject by portraying each one realistically, and allow different expressions of her experiences and memories, and the artist’s appreciation for the beauty and delight of her surroundings and nature’s gifts.